A compelling atmosphere and story is undermined by below average visuals and poor PC optimization. 2K Games’ Mafia 3, developed by 2K Czech and Hangar 13, has had a rather extensive development history. What remained consistent through that history is the desire to accurately depict life in the 1968-esque, New Orleans-inspired New Bordeaux. Racism, the divide between the rich and poor, prevailing social stigmata and of course, the extensive proliferation of urban crime were all presented to immerse the player in the world. It doesn’t make for the most endearing example of humanity but it’s fascinating all the same, especially when recreated in a video game. Despite the current critical reception to Mafia 3 and its flaws (such as the numerous bugs), the inherent vision still manages to shine through. Mafia 3 has been lauded for its depiction of racism and the sheer atmosphere of its setting. Back at GDC 2016 in March, systems designer Seth Rosen from Hangar 13 discussed the studio’s vision in developing the open world. The presentation talks about the player’s interactions with the world around him and how to manage animation, assets and coding to craft the illusion of realism. This is especially apparent in environmental design when drawing a player’s attention to key elements or presenting what needs to be a bustling world. How do pedestrians react to your presence? What about the density of population? In the end, Hangar 13 seemed intent on communicating good AI, even if it’s not completely human, and especially one that can be conveyed over the length of the gameplay experience. Of course, Rosen also noted that if “performance ever falters, AI dies”. When examining the technical aspects of Mafia 3, it’s important to note its general performance above all else. How many open world games have we seen buckle under the weight of their own ambitions? "Looking at the PS4 and Xbox One, Mafia 3 runs at 1080p resolution on the former and 900p resolution on the latter." Looking at the PS4 and Xbox One, Mafia 3 runs at 1080p resolution on the former and 900p resolution on the latter. The target frame rate cap for both platforms is 30 frames per second and performance is relatively stable throughout. Some slight frame drops were observed while driving though and frame pacing tends to be an issue across all three versions. Anti-aliasing can be pretty bad on consoles and the solution utilized is still unconfirmed. Mysterious as it may be, we don’t like it. When comparing the graphical quality to PC, the console versions seem to be the equivalent of the PC version’s Low to Medium settings. Here’s the weird thing though – low resolution textures can be seen in some places on all three versions. Pixel crawling is also fairly abundant. There’s not really a lot of reason to be impressed with Hangar 13’s solution regardless of which platform you choose. 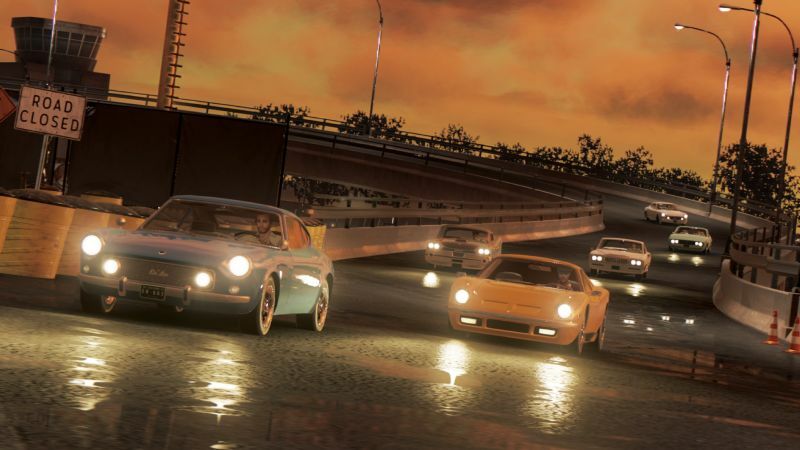 Upon seeing an open world game like Mafia 3, we’re reminded of Grand Theft Auto 5 and the extensive amount of graphical options available to PC players. This isn’t a direct comparison – GTA 5’s PC port was out more than a year after the initial console release – but one would assume that the PC version of Mafia 3 would allow for the same level of graphical customization. "Upon testing the performance, it became apparent that reflections were the main resource hog for the PC version. If you want to achieve a 60 FPS frame rate, then avoid setting Reflections to High." In terms of options, there’s Brightness, Resolution, Frame Rate (which can now be adjusted from to 30 FPS to 60 FPS and unlimited), Depth of Field, Field of View (from 55 to 90 in increments of one) and Global Quality. Fullscreen Support is a given (though borderless window support is oddly absent) while other features include V-Sync (double-buffer), Ambient Occlusion, Motion Blur, Geometry Detail, Shadow Quality, Reflection Quality, Volumetric Effects, Anti-aliasing (with three options – Low, Medium and High) and your usual Screen Borders. Upon testing the performance, it became apparent that reflections were the main resource hog for the PC version. If you want to achieve a 60 FPS frame rate, then avoid setting Reflections to High. We set it to Low and maxed out other settings instead. Mafia 3 was tested across three distinct GPUs. On an AMD Radeon RX480, we witnessed an average of 51 FPS at 1080p resolution with the lowest frame rate hitting 26 FPS. At 2K resolution, the average frame rate was 39 FPS and lowest was at 21 FPS. Meanwhile on the Nvidia GTX 1060, we averaged 62 FPS at 1080p resolution with the lowest frame rate at 39 FPS. At 2K resolution, the frame rate average was 48 FPS and lowest was 33 FPS. The upper tier GTX 1080 card recorded 81 FPS on average at 1080p resolution with the lowest frame rate at 66 FPS. The 2K resolution net 61 FPS on average and 52 FPS at its lowest. For 4K resolution, the average FPS was 33 FPS while the lowest frame rate was 23 FPS. 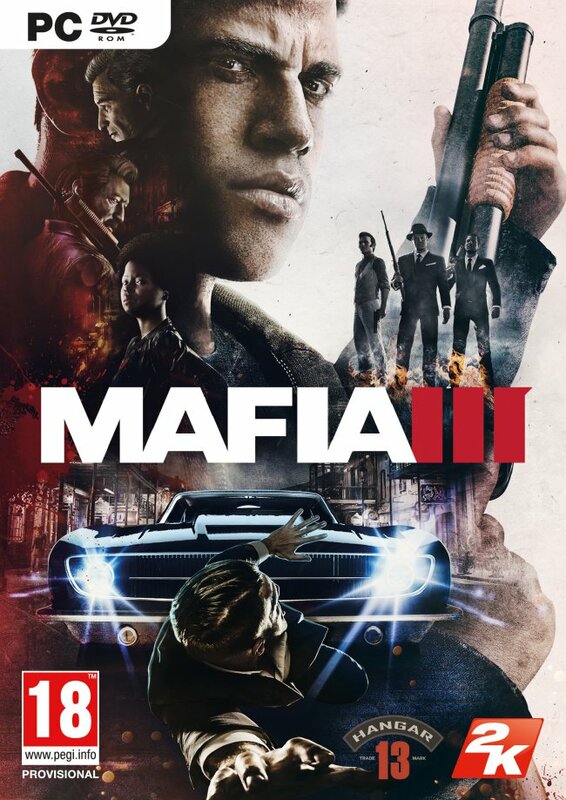 "While Hangar 13 and 2K Czech are expected to release more patches in the coming days to further optimize Mafia 3 on PC, your best bet is to experience it on the PS4 or Xbox One." Overall, the PC version is a poorly optimized title. While shadow quality tends to remain consistent throughout and texture quality isn’t affected at some places regardless of whatever setting used, there were still tons of glitches. The game also crashed four times in the process. Also, the PC version is based off of the console port, the latter having a 30 FPS engine. This is the reason for it shipping with a 30 FPS lock at launch – fan feedback ultimately motivated the FPS unlock that’s now available. 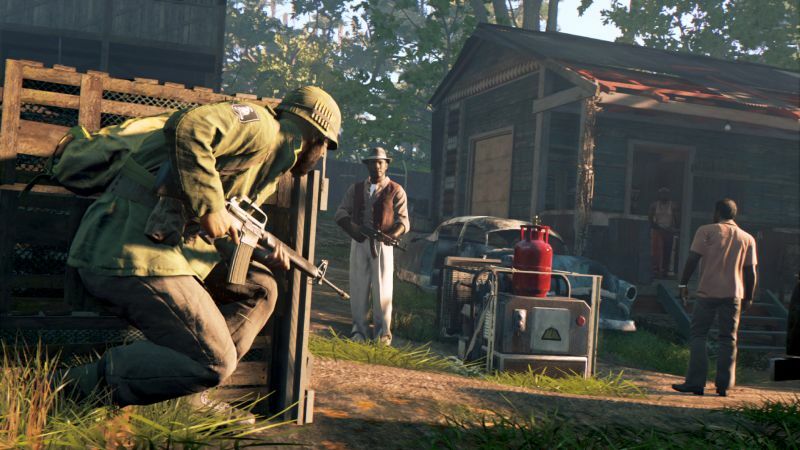 Mafia 3 may have succeeded in delivering a stunning atmosphere that recreates a dark time in American history but it’s not exactly the paragon for current gen open world graphics. On the whole, it’s optimized much better on consoles with the PC version failing to really take advantage of the high end GPUs on hand. In many ways, Mafia 3 seems to be stuck in the previous generation with its poor visuals, glitches and uneven physics. As great as the setting can be, these problems tend to drag down the experience and detract from the otherwise interesting story. While Hangar 13 and 2K Czech are expected to release more patches in the coming days to further optimize Mafia 3 on PC, your best bet is to experience it on the PS4 or Xbox One. Both excel with their steady frame rate performance despite running at the PC version’s equivalent of lower settings.